We display a quick overview of your most valuable data in a couple areas of your CMS. Graphs can be restrained by time, with a trending up or down percentage, as well as CSV export abilities. These graphs are available to everyone: app downloads, downloads by platform, popular sections, email subscribers. In addition to Core analytics features, these additional graphs are available, with more being added all the time: App gallery views, total audio streams, top audio streams, video plays, most watched videos, page views, comments breakdown, unique visitors, user demographics, share types, networks, session time, popular content, popup promos sent, badges, push notifications, polls, QR codes, music sales conversion rate, stats per audio track, top tracks, and hits to links. For an accurate preview of your apps and the ability to use and see them just as your users would on their devices, we recommend downloading the free Mobile Roadie Connect app. This will allow you to see your app just as your users will see it, even before submitting it to app stores. Post to your Fan Wall from the CMS to make official announcements or hold discussions. We guide you through providing the required items for your app to be submitted. When you submit, we review your app, checking the quality and appropriateness of your content. We build your app and then handle the entire Apple App Store and Google Play submission process on your behalf. We work with Apple and Google to approve and post your app in their stores by your deadline. Search your users by name, location, platform, reward types. Your results will show which social networks they have connected, number of points, join and last launch date. Sort your results to get what you need, and export a CSV if you'd like to. Select individuals or all results to send push notifications to, making it easy to reward top users or new users. The user map shows users per platform and their last location, with ability to send them a push notification. See more about user demographics in Analytics. Every user comment or photo coming into your app is viewable in a list, allowing you to filter to flagged items, and remove content or ban users. We automatically censor bad language in your apps so they will be app store safe. Please note that at this time we don't do any kind of pre-moderation or removal of content in order to encourage real-time chatting in apps. We currently support AdMob and iAds to all smartphone apps with revenue sharing. If Pro, you can select Ad Marvel, Ad Tech, RevMob, Live Rail, or Burstly using your own account, or request a new network of your choice. You can push content straight to your App and pull content from it to your own site or blog, without ever bothering with our CMS. Our API is language agnostic, so you can pull data from the App in a variety of formats including XML, JSON, native PHP arrays, CSV, and HTML. We offer full documentation on our API to help your development team along the way. Pro accounts automatically get a mobile website generated using information from their app. 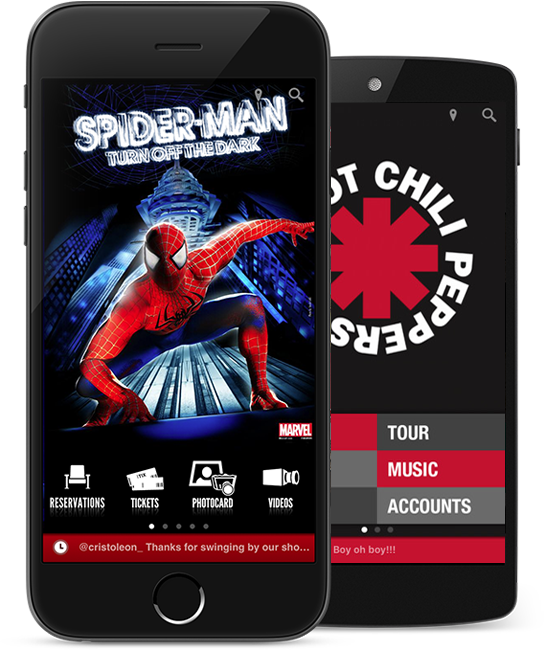 Use this mobile website to reach fans without iOS or Android devices, or use it as an alternate for your non-mobile friendly website. Add Google Analytics tracking, make some theming decisions, and watch your app content mirrored in mobile web.